"Warmth" warmth that makes me feel nostalgic.Here is the history of good old Japanese. Luxury of tradition and sophistication. "Luxury" It was born from the tradition that we kept and protected. 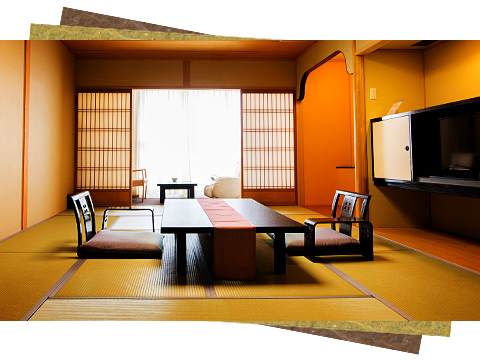 Kisho Kurokawa designed room will make you feel traditional and dignified modern atmosphere drifts. You can enjoy the calm color and balance of the furniture together. ※6F is a non-smoking floor. ※The photo is 4F Japanese Style.